Situated in the southwestern corner of the United States, New Mexico is full of interesting attractions for visitors to discover. Sophisticated cities like Santa Fe and Albuquerque are rich in cultural attractions and have a fascinating historical heritage to showcase. New Mexico boasts wonderful national parks and recreation areas where outdoor enthusiasts can pursue a wide range of adventure sports. Prior to 1610, when the city of Santa Fe was established by Spanish colonists, the area was occupied by a succession of local tribes, which explains the rich cultural and historical heritage that you can discover in the city today. You can visit literally dozens of museums, historical sites, and Indian pueblos before even touching on the extravagant list of cultural attractions, which is why the city has been voted the number one destination for culturephiles by USA Today. 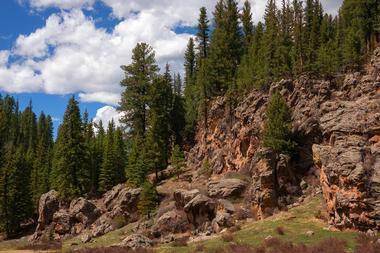 Few places can compete with Taos when it comes to offering a diversity of attractions and activities within one city. 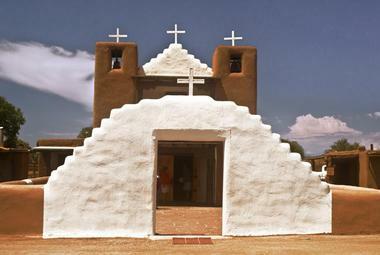 Here you can explore over a thousand years of tradition and see how Native Americans lived several centuries ago at the famous Taos Pueblo, a multi-story adobe complex, before soaking up the atmosphere of this long-time artist colony by visiting some of the many galleries, studios, and museums that showcase mainly local artists. 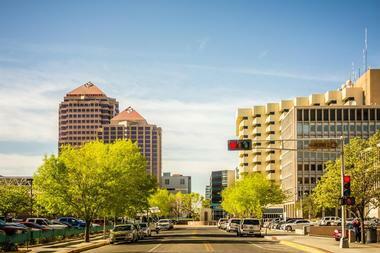 Situated along historic Route 66, Albuquerque offers visitors an authentic American Southwest experience with a long string of attractions to suit all tastes. You can explore some of the unique city museums (such as the American International Rattlesnake Museum) or take a walk through the Historic Old Town, which has been around since 1706. 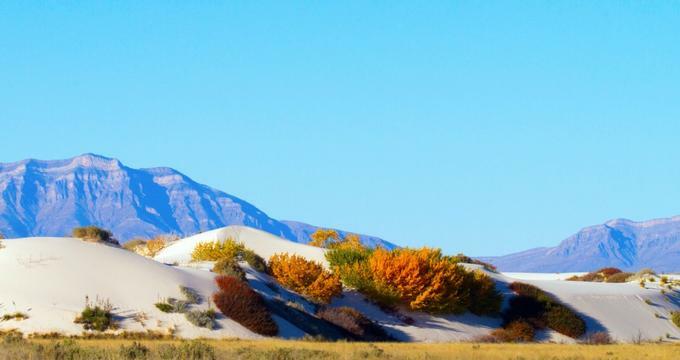 Legend has it that a manned alien spacecraft crashed at Roswell in 1947, but whether or not you believe in aliens you will find plenty to do in this interesting New Mexico town. 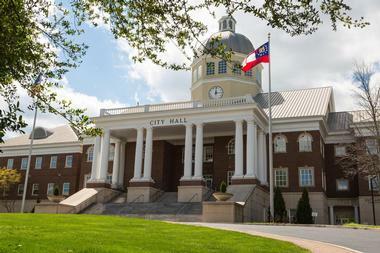 There is a long list of historical and cultural attractions you can explore, including the Roswell Museum and Art Center, the Anderson Museum of Contemporary Art, the Roswell Symphony Orchestra, and the General Douglas L. McBride Military Museum. Nestled in the scenic Mesilla Valley in New Mexico, Las Cruces entices visitors with great year-round weather and a multitude of attractions and activities. Outdoor enthusiasts can get back to nature at the Organ Mountain Desert Peaks National Monument, where you can enjoy hiking, biking, wildlife observation, fishing, and camping or take a day trip to one of several other national parks within a 70-mile radius. 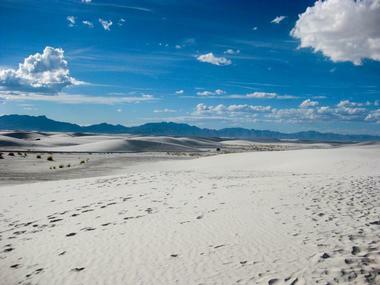 White Sands National Monument covers a truly unique 275-square-mile area of wave-like white gypsum sand dunes in the middle of the Tularosa Basin in New Mexico. You will be amazed to learn about the diversity of flora and fauna that have adapted to these harsh conditions. 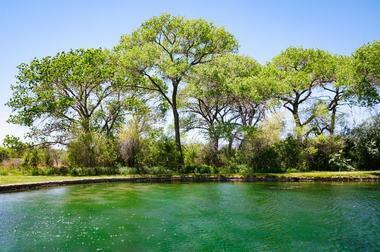 Carlsbad in New Mexico is something of an anomaly; here you will find a lush green oasis along the Pecos River, in the middle of the Chihuahuan Desert. The area has near-perfect year-round weather, which makes it a great destination for outdoor adventurers, who can enjoy hiking, biking, golf, and water activities all year round. No visit would be complete without touring the Carlsbad Caverns National Park, where you can explore a wonderful labyrinth of caves that are over 250 million years old. Young and old can learn about desert fauna at the Living Desert Zoo and Gardens National Park and then beat the summer heat at the Carlsbad Water Park or at Lake Carlsbad Beach Park. 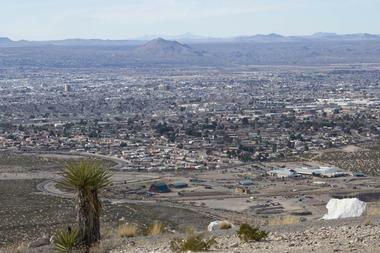 Las Vegas, New Mexico, is the complete antithesis to Nevada’s big and brash city of the same name. 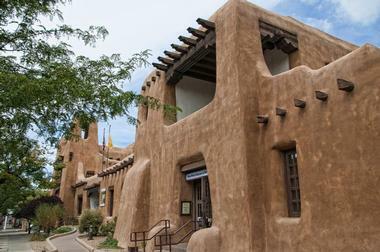 Here in New Mexico you will feel as though you have stepped out of a time machine into the 1800s as you walk through one of the best-preserved historical gems in the country. You can stroll around five Historic Districts which are home to over 900 buildings on the National Historic Register. The city’s Arts and Cultural District is just as fascinating and offers several galleries and live entertainment at the Historic Serf Theatre Hall. You can enjoy water sports or go hiking, biking, and camping at the Storrie Lake State Park or visit the Rio Mora National Wildlife Refuge. 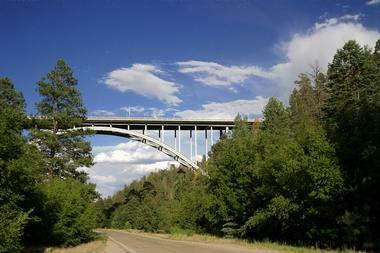 Visitors to Los Alamos will be amazed at the number and variety of attractions with which to fill their days. A self-guided walking tour of the Historic District will help you find your bearings in the city – you can visit the Los Alamos Historical Museum, Fuller Lodge, and an ancestral Pueblo dwelling along the way. The Los Alamos Creative District hosts a variety of events and activities for art lovers, while the Bradbury Science Museum will fascinate all ages. Many people visit Los Alamos primarily to enjoy incredible mountain vistas – you can go on a scenic drive or get active on over 150 miles of hiking and biking trails, play a round of golf, or visit the Pajarito Ski Mountain in winter. Alamogordo is a historic railroad town situated in the Tularosa Basin near the spectacular White Sands National Monument in southern New Mexico. The town is steeped in history – you can visit Old Town Alamogordo and the Tularosa Basin Historical Museum to learn about the old days, while the fascinating New Mexico Museum of Space History and IMAX Theater will bring you back to the innovative 21st century. Farmington makes an ideal base from which to explore the Four Corners area of New Mexico, which not only boasts wonderful scenery and outdoor activities, but is also chock-full of historical sites to discover. You can learn about the history and culture of several Native American tribes on a tour of the Hopi, Navajo, and Apache tribal lands or visit a few great museums, including the Sherman Dugan Museum of Geology and the E3 Children’s Museum and Science Center. Farmington has a thriving visual and performing arts scene – you can visit several galleries or attend the Outdoor Summer Theater or the San Juan Symphony Orchestra. Outdoor activities include great hiking in unique scenery, a wide variety of water sports on three rivers and two lakes, golfing, fishing, and geocaching. The Los Alamos National Laboratory was established in 1943 with the express aim of producing an atomic bomb to end World War II. 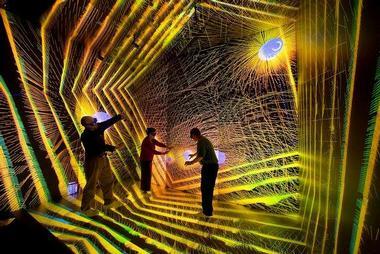 After that aim was realized in 1945, the LANL turned its attention to the pursuit of other sciences and today the facility is at the forefront of scientific research. Although matters of national security are still a priority, the Los Alamos National Laboratory is multi-disciplinary and covers medical science, space technology, and several other fields that will improve the future lives of everyone on our planet. For security reasons the facility is not open to the public but you can tour the interactive Bradbury Science Museum in downtown Los Alamo to learn all about the laboratory and its top-secret projects. The Valles Caldera is one of the country’s newest National Preserves and was formed over 1.2 million years ago when a cataclysmic volcanic eruption resulted in the formation of an enormous caldera over 13 miles in diameter. Today the striking depression, which is rimmed by towering mountain peaks, is a playground for outdoor enthusiasts. You can take on some of the hiking and mountain-biking trails, including easy day hikes or some strenuous backcountry routes. Equestrians can explore on horseback and ranger-led activities include guided hikes and van tours and fly-fishing clinics. There are good wildlife watching opportunities as well as elk and turkey hunting in season. In winter, visitors can enjoy the pristine area on cross-country skis or snowshoes. 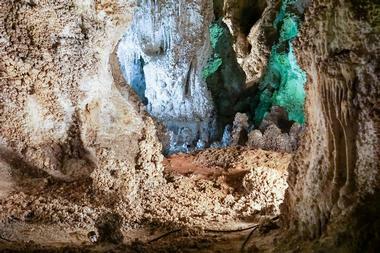 Hidden deep under the shifting sands of the Chihuahuan Desert lies a massive labyrinth of over 119 caves that are protected by the Carlsbad Cavern National Park. You can watch a free 16-minute introductory movie at the visitors center before you set off to be wowed by the amazing rock formations. You can either do a self-guided tour of the main section of the caverns, called the Big Room, or sign up for one of the far more intensive, ranger-led explorations which will give you the chance to explore narrow passages and crawl-holes by torch light only. Above ground, you can go hiking along a desert trail, do some bird watching at the Rattlesnake Springs Oasis, and attend the nightly Bat Flight Program in summer. At Kasha-Katuwe Tent Rocks National Monument you can see some of the most unique rock formations anywhere in the country. 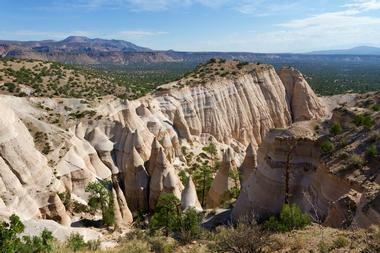 The tent-shaped rock formations were formed over six million years ago during violent volcanic eruptions in the Jemez volcanic field and have produced a unique and other-worldly landscape that just begs to be explored and photographed. You may explore on foot only, along either the 1.2 mile Cave Loop Trail (easy) or the much more strenuous 1.5 mile Canyon Trail, and there is also a short wheelchair-accessible trail and a picnic area. There is good bird watching along the trails and you may also encounter elk, mule deer, and other wildlife, particularly at higher altitudes along the Canyon Trail. 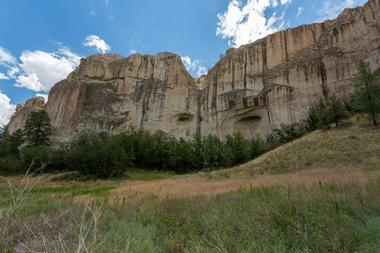 For hundreds of years thirsty travelers crossing western New Mexico have relied on a permanent water hole found at the base of a large sandstone bluff called El Morro (the Headland). Today you can explore this interesting National Monument and see some of the huge collection of names, dates, and stories carved into the stone by visitors from long ago, as you hike the easily accessible Inscription Trail. If you have a little more energy, you can follow the 2-mile Headland Trail to the top of the bluff, where you will be rewarded with wonderful views. 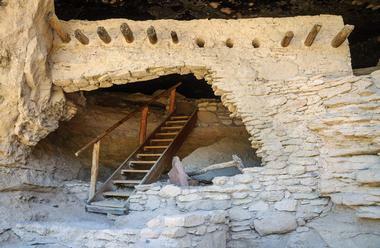 En route you can stop to explore Atsinna, an ancestral Puebloan ruin dating back to around 1300 AD. The visitors center offers a free 15-minute introductory film. 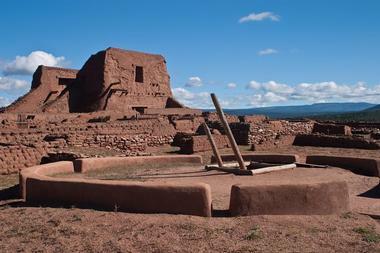 The Pecos National Historical Park protects and showcases the history of centuries of occupation by Native Americans and Spanish colonists and was the site of the 1862 Civil War Battle of Glorieta Pass. You can visit the E.E. Vogelson visitors center to watch a 10-minute orientation film and get information about the park before you set off to learn and explore. You can choose from several guided tours that include the Sunday 90-minute Forked Lightning Ranch House van tour, the Saturday 2-hour Civil War in the West tour and regular weekend ranger-guided walking tours of the ancestral sites. You can also pick up a map and do your own self-guided tours. 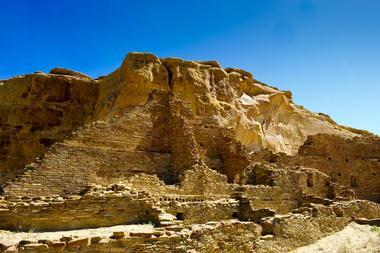 Situated amid the starkly beautiful high-desert landscape of the Chaco Canyon, the Chaco Culture National Historical Park protects and showcases the remains of an amazingly sophisticated Chacoan civilization that thrived in the valley over 1,000 years ago. 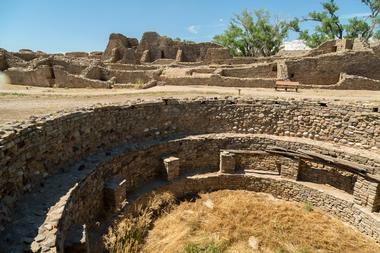 There is a 9-mile loop road you can follow that will take you to five of the major Chacoan sites, including Pueblo Bonito, the largest great house in the park, which is a multi-storied building dating back to between 850 and 1150. 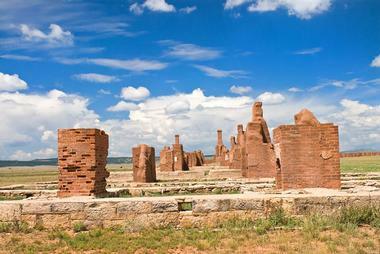 At each of the five sites you can follow a short self-guided trail to the ruins. Energetic visitors can take it a step further and follow some of the backcountry trails to see some of the more remote sites. 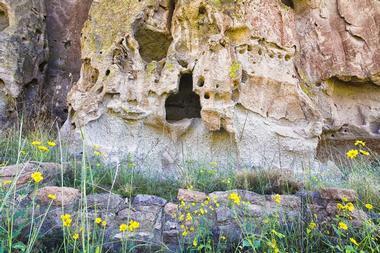 Gila Cliff Dwellings National Monument is reached via a 45-mile scenic drive from Silver City, New Mexico. You can stop at the visitors center before you set off to explore the remarkable cave dwellings that were built by the nomadic Mogollon people in the late 1200s. You can go on a guided tour of the dwellings at 11 am each day or pick up some info at the visitors center and do a self-guided tour in your own time. Other activities in the National Monument include hiking and wildlife watching in the Gila and Aldo Leopold Wilderness Areas and visiting some of the natural hot springs in the area, which can be reached along trails starting at the Gila visitors center. 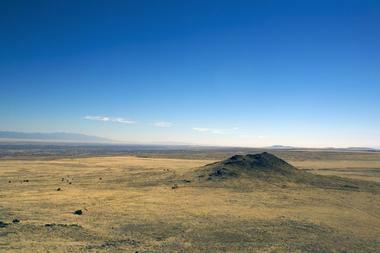 At the Capulin Volcano National Monument you can learn about the forces of nature that shaped the Earth’s surface millions of years ago, producing the perfectly cone-shaped Capulin cinder cone that towers over a 1,000 feet above the surrounding plains. You can watch a short film explaining the geology of the area at the visitors center before setting off to explore the forested crater. A scenic drive along Volcano Road will lead you to the crater rim, from where you can explore on foot along a variety of hiking trails. There is also an interpretive Nature Trail close to the visitors center that is wheelchair accessible. Children can have fun learning about nature on a junior ranger program. Bandelier National Monument protects an enormous area of over 33,000 acres of scenic canyons and mesa in the Jemez Mountains, providing a wonderful wilderness recreational area. You can come and explore for the day or bring along your tent or RV and spend a night or two in one of two campsites. Hiking the pristine wilderness is the main activity and there are over 70 miles of trails, including the easy and family-friendly Main Loop Trail. If you are interested in ancient history and culture, you can hike the Tsankawi Trail (this is a steep and strenuous trail) to see the ancestral Pueblo village of Tsankawi and view some petroglyphs along the way. Longer overnight backcountry trails are also available. The Aztec Ruins National Monument is a UNESCO World Heritage Site that protects some of the oldest remnants of Aztec culture in the United States. Here you can step back in time nearly 900 years to walk in the footsteps of the craftsmen who used amazingly sophisticated engineering and building techniques to construct multi-story structures that have stood the test of time. You will be met by a ranger at the visitors center, where you can watch a short orientation film and visit the museum. You can explore the archaeological site on a self-guided tour or join a ranger-guided tour during the summer months, and children can have fun on a junior ranger program. In Old Mesilla Village you can step back in time and explore a genuine frontier village that has changed little from what it looked like back in 1850. The town was originally part of Mexico, but became part of the U.S. after the signing of the historic Gadsden Purchase in 1854, which you can learn about at the Gadsden Museum. You can see all the historic sites and hear all the romantic Wild West stories on a guided walking tour, or you can purchase a guide and stroll around in your own time. 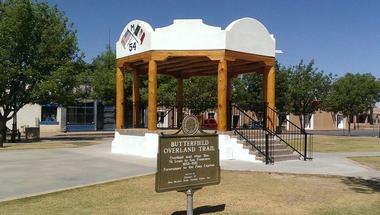 You will see the town plaza, which was once an important stop on the Butterfield Stagecoach route, and see where Billy the Kid was tried for murder in the Mesilla courthouse. 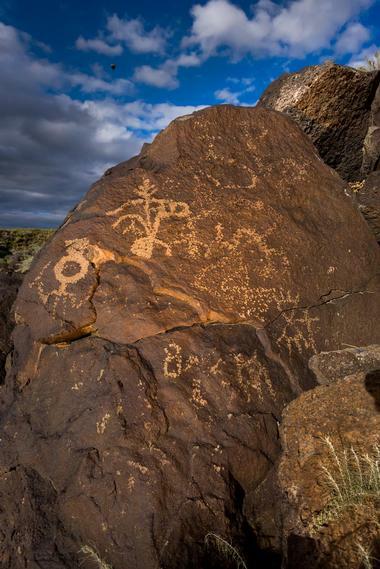 The Petroglyph National Monument near Albuquerque protects one of the riches caches of Native American and early Spanish petroglyphs in the country. At the visitors center you can watch a short film and pick up trail guides before you set off to explore on foot along one of four hiking trails. There are three easy 1-hour trails in the Boca Negra Canyon, which is currently the only developed area where you can use restrooms and a picnic area. You can find around 100 petroglyphs along these trails, but if you are up for a lengthier hike, there are 3 other trails that will expose you to hundreds of petroglyphs in the Rinconada and Piedras Marcadas Canyons.